Improv Comedy Mumbai has been in existence since 2009 and has performed shows in all the major cities of India. It is Improv Comedy Mumbai’s goal to grow and fill the need of Improvisational Theater in India by creating a group of professionally trained improvisers and performers. 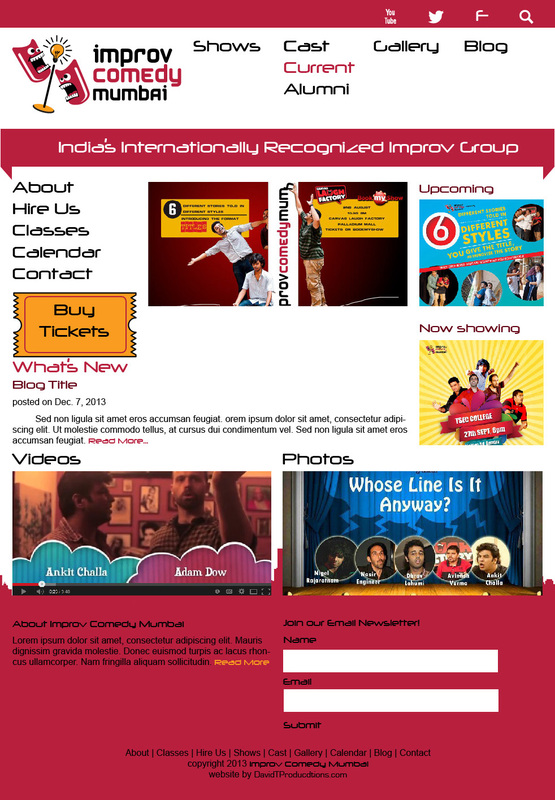 Improv Comedy Mumbai had a problem where they didn’t have a website that was a central location for users to find information, buy tickets, and read updates. Currently Improv Comedy Mumbai were making all their announcements, updates, and ticketing sales from Facebook. I built a Angular JS website that made api calls to a WordPress and Facebook integration so that when Improv Comedy Mumbai made a posts it would automatically update on their website increasing visibility to new users while maintaining their current audience on Facebook.